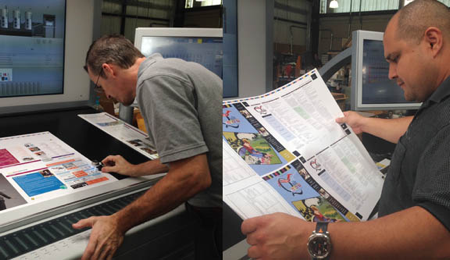 Design Printing has the most current and cutting-edge printing and binding equipment. 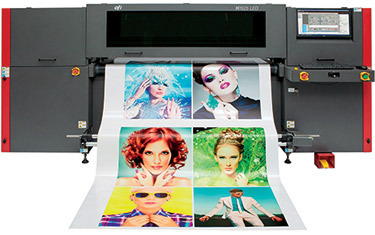 Design Printing utilizes the newest, cleanest, and fastest machines, your custom quality work is delivered quickly with the most efficient use of energy, reduced waste and pollution. 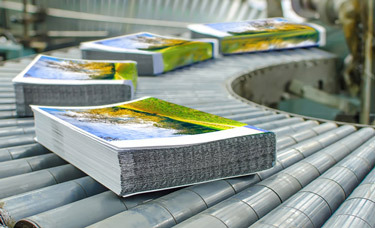 Our digital printer prints directly onto the paper-eliminating intermediate steps and allowing total control over image and quantities. Agfa Acento II-S and Azura. 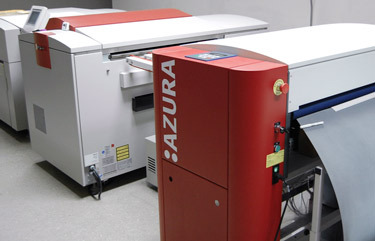 Acento II-S Thermal 4-up Platesetter with Chem-Free, Gravity Plate Stacker, Sublima-S 240LS software. Komori Lithrone 5 Color Press with inline, aqueous coating unit, extended dryer and capacity to run various weights of sheets from 50 lb. book to 32pt. board; equipped with a newly designed Dual TFT touch panel, fully integrated control possible during real-time operation using CIP4 data, easy color matching and advanced color management, ensuring G7 color standards are met. Signs, banners, tabelcloths, window clings, Be Seen! 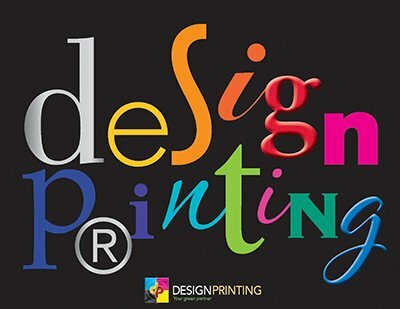 Design Printing, Los Angeles award winning printer. Our services employ cutting edge technology. Our products are comprehensive - to meet all your branding, marketing, promotional, communication, packaging, envelopes, and design needs. Creativity is our specialty, customer service is our motto. Design Printing © 2019. All rights reserved.